Prosimetric – written partly in prose and partly in verse; in the form of a prosimetrum. Welcome back and thanks to Andrei for posing Thursday’s questions. You can claim a virtual batch of Jamaican Lime Biscuits for stumping us all by leaving the answers below. (I can’t dredge up much more from my school Latin than amo, amas, amat, . . . ). The latest Rabobank Rural Confidence Survey shows the highest level of confidence among all agricultural sectors since the survey started in 2003 which is proof of the remarkable success of New Zealand agriculture and commodity prices. At a time when our dollar is also stronger against almost all, if not all, currencies over the same period, this is a surprising fact that most people would say is at least counterintuitive if not downright impossible. 57% of farmers surveyed now see a positive outlook for the next 12 months, up from 34% in the previous survey, in contrast to only 3% who think things will get worse. A net 41% of sheep and beef farmers see a positive outlook, up from just net 2% in the first 2017 survey, while a net 61% of dairy farmers and 38% of horticulturalists are also bullish. Not surprisingly improving commodity prices are the main reason for this burst in confidence. . . The global beef complex has been characterised by a series of market disruptions through Q2, according to the Rabobank Beef Quarterly Q2 2017. Political upheaval in Brazil, a new trade agreement between the US and China, and proposed bans on slaughter in India: All involve the major bovine-exporting nations of the world and have the potential to cause material shifts in global trade. According to Blake Holgate, Rabobank Analyst Animal Protein: “While US exports continue to perform strongly (and have now reached record levels), reduced supply from Australia and New Zealand, along with potential shocks from Brazil and India, could see the balance in the beef market shift back to a supply-limited market.”. .
Pressure on farmers appears to be easing a little on the back of an improved farming outlook, according to Federated Farmers’ latest Banking Survey undertaken in May by Research First. The survey shows that 8.5%of farmers reported coming under ‘undue’ pressure from their bank over the past six months, down from 9.6% in the last survey undertaken in November 2016. . . Ten global dairy industry organisations, including one from New Zealand, are fighting for Canada to remove milk policies they say are depressing milk prices. The Dairy Companies Association of New Zealand (DCANZ) is part of the group, which includes dairy industry leaders from Argentina, Australia, EU, Mexico and the US. DCANZ said Canada’s recently-implemented ‘Special Milk Class 7’ policies were facilitating the unfair export of highly subsidised Canadian dairy products onto global dairy markets, and at the same time increasing Canada’s barriers to dairy imports. . . .
Te Araroa Trust chair David McGregor said the record number of walkers had contributed an estimated more than $5 million to the economy, with walkers reporting an average spend of between $7,000 and $10,000 throughout their four to five month journey. . .
Conservation Minister Maggie Barry says almost $500,000 extra will be spent on regional projects that target the country’s worst weeds. “DOC will fund ten regional and district councils to do weed control projects in their communities, especially those that target our annual ‘Dirty Dozen’ weeds – identified as doing the most damage by smothering our natural landscapes and destroying the habitats of our native species,” Ms Barry says. “The projects focus on weeds such as Old Man’s Beard or Spartina and intensifies efforts to keep them under control or totally eradicate them.” . . Continued low scallop levels at the top of the South Island have forced a further temporary closure of the Southern Scallop fishery SCA 7, Primary Industries Minister Nathan Guy has announced today. The 2017/18 season closure affects scallop fisheries in Golden Bay, Tasman Bay and the Marlborough Sounds. It also includes the neighbouring Port Underwood area. . .
New Zealand Wool Services International Limited’s CEO, Mr John Dawson reports that today’s market was down due to a combination of slower demand and a slightly stronger New Zealand dollar. South Island price levels have now come more into line with their North Island counterparts. The weighted indicator for the main trading currencies compared to the last sale on the 22nd June was marginally stronger by 0.24 percent. . .
Federated Farmers is disappointed Greenpeace has resorted to sensationalist rhetoric in a report published today that implies agriculture and related activities are a threat to all New Zealanders’ health. The report which goes by the title “Sick of too many cows”, is a predictable if not misguided attack on the primary sector- the country’s largest exporter and employer of around 160,000 people. “This is Greenpeace doing a good job of what they do best – plenty of headlines and hyperbole. Let’s be frank, those claims made about New Zealanders’ health being endangered due to livestock is extreme to say the least, says Chris Allen, Federated Farmers’ Water Spokesperson. Federated Farmers expects plenty of hyperbole and sensationalism and welcomes an open forum leading into the General Election, but this latest anti-farming rant smacks of desperation. It leaves little room for constructive dialogue with no concrete language throughout the report. The Federation also finds it ironic that the Havelock North water contamination outbreak is raised, yet it had nothing to do with dairy farming nor so called industrial farming or irrigation. We note Greenpeace acknowledges most farmers are working hard to improve their environmental footprint. However, it’s unfortunate they have not researched basic facts about irrigation and proposed schemes. “For example, those that have signed up to the Ruataniwha scheme are horticultural enterprises, arable and sheep and beef farmers. “The fact is there are no new dairy conversions amongst the 190 farmers signed up, while only one irrigator will expand an existing dairy farm by a mere 100ha. “What is also overlooked is that irrigation is crucial for many fruit and horticultural crops, and there is evidence that irrigation can have better environmental outcomes. The majority of dams being built are for community water and security of supply for drinking water alongside irrigation,” Chris said. Federated Farmers otherwise is proud of all New Zealand farmers’ focus and efforts towards managing the environment. Dairy farmers had spent over $1 billion in the past five years, which meant 97% of the waterways on New Zealand dairy farms are now excluded from dairy cattle. Sheep and beef farmers meanwhile have been main contributors to the establishment of QEII covenants, protecting private land for conservation at a real and opportunity cost of $1.2 to 1.4 billion dollars. “Let’s be clear, farmers are not solely responsible for what is raised in this report. We are taking ownership through seeking solutions and acting on them. Scaremongering the public with extreme claims in an election year, is short-sighted and lacks integrity,” says Chris. This scaremongering and extreme claims aren’t just for election year. It’s business as usual for Greenpeace, high on emotion and low on facts. They forget, ignore or simply don’t know that farmers have a very high interest in good water quality. Waterways which run through and near farms are the source of drinking water and the playground for farming families. Ensuring they are clean isn’t just an academic concept or political point-scoring exercise, it’s personal and immediate. If people in the media cannot decide whether they are in the business of reporting news or manufacturing propaganda, it is all the more important that the public understand that difference, and choose their news sources accordingly. – Thomas Sowell who celebrates his 87th birthday today. 350 Roman usurper Nepotianus, of the Constantinian dynasty, was defeated and killed by troops of the usurper Magnentius. 1422 Battle of Arbedo between the duke of Milan and the Swiss cantons. 1520 The Spaniards were expelled from Tenochtitlan. 1559 King Henry II of France was seriously injured in a jousting match against Gabriel de Montgomery. 1651 The Deluge: Khmelnytsky Uprising – the Battle of Beresteczko ended with a Polish victory. 1688 The Immortal Seven issued the Invitation to William, continuing the struggle for English independence from Rome. 1758 Seven Years’ War: The Battle of Domstadtl. 1794 Native American forces under Blue Jacket attacked Fort Recovery. 1859 French acrobat Charles Blondin crossed Niagara Falls on a tightrope. 1860 The 1860 Oxford evolution debate at the Oxford University Museum of Natural History. 1864 U.S. President Abraham Lincoln granted Yosemite Valley to California for “public use, resort and recreation”. 1882 Charles J. Guiteau was hanged for the assassination of President James Garfield. 1886 The first transcontinental train trip across Canada departs from Montreal. 1905 Albert Einstein published the article “On the Electrodynamics of Moving Bodies”, in which he introduced special relativity. 1908 – Winston Graham, British writer, was born (d. 2003). 1908 The Tunguska explosion in SIberia – commonly believed to have been caused by the air burst of a large meteoroid or comet fragment at an altitude of 5–10 kilometres (3.1–6.2 mi) above the Earth’s surface. 1912 The Regina Cyclone hit Regina, Saskatchewan, killing 28. 1913 – Alfonso López Michelsen, Colombian lawyer and politician, 24th President of Colombia, was born (d. 2007). 1914 – Francisco da Costa Gomes, Portuguese general and politician, 15th President of Portugal, was born (d. 2001). 1917 – Susan Hayward, American actress, was born (d. 1975). 1917 – Lena Horne, American singer and actress (d. 2010). 1930 – Thomas Sowell, American economist, philosopher, and author, was born. 1934 The Night of the Long Knives, Adolf Hitler’s violent purge of his political rivals took place. 1935 The Senegalese Socialist Party held its first congress. 1936 Emperor Haile Selassie of Abbysinia appealled for aid to the League of Nations against Mussolini’s invasion of his country. 1939 The first edition of the New Zealand Listener was published. 1941 World War II: Operation Barbarossa – Germany captured Lviv, Ukraine. 1943 Florence Ballard, American singer (The Supremes). was born (d. 1976). 1944 Glenn Shorrock, Australian singer-songwriter (Little River Band) was born. 1944 World War II: The Battle of Cherbourg ended with the fall of the strategically valuable port to American forces. 1950 Leonard Whiting, British actor, was born. 1953 Hal Lindes, British-American musician (Dire Straits) was born. 1953 The first Chevrolet Corvette rolled off the assembly line in Flint, Michigan. 1956 – A TWA Super Constellation and a United Airlines DC-7 (Flight 718)collided above the Grand Canyon killing all 128 on board the two planes. 1959 A United States Air Force F-100 Super Sabre from Kadena Air Base, Okinawa, crashed into a nearby elementary school, killing 11 students plus six residents from the local neighborhood. 1960 Murray Cook, Australian singer (The Wiggles) was born. 1960 Congo gained independence from Belgium. 1962 Julianne Regan, British singer and musician (All About Eve), was born. 1963 Ciaculli massacre: A car bomb, intended for Mafia boss Salvatore Greco “Ciaschiteddu”, killed seven police and military officers near Palermo. 1966 Mike Tyson, American boxer, was born. 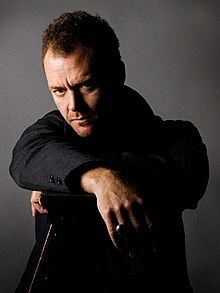 1966 Marton Csokas, New Zealand actor, was born. 1968 Credo of the People of God by Pope Paul VI. 1969 Nigeria banned Red Cross aid to Biafra. 1971 The crew of the Soviet Soyuz 11 spacecraft were killed when their air supply escaped through a faulty valve. 1971 – Ohio ratified the 26th Amendment to the U.S. Constitution, lowering the voting age to 18, thereby putting the amendment into effect. 1972 The first leap second was added to the UTC time system. 1985 Thirty-nine American hostages from a TWA Flight 847 jetliner were freed in Beirut after being held for 17 days. 1986 The U.S. Supreme Court ruled in Bowers v. Hardwick that states can outlaw homosexual acts between consenting adults. 1987 The Royal Canadian Mint introduced the $1 coin, known as theLoonie. 1990 East Germany and West Germany merged their economies. 1992 Former Prime Minister Margaret Thatcher joined the House of Lords as Baroness Thatcher. 1997 The United Kingdom transferred sovereignty over Hong Kong to China. 2007 A car crashed into Glasgow International Airport in an attempted terrorist attack. 2009 Yemenia Flight 626 crashed off the coast of Moroni, Comoros killing 152 people and leaving 1 survivor. 2013 – – 19 firefighters died controlling a wildfire in Yarnell, Arizona. 2015 – A Hercules C-130 military aircraft with 113 people on board crashed in a residential area in the Indonesian city of Medan, resulting in at least 116 deaths. You are currently browsing the Homepaddock blog archives for June, 2017.